The aim of this site is to provide up to date local information to people with Inflammatory Arthritis that are living on the Isle of Wight. By doing this we hope to encourage people to manage their condition and to feel more in control of their lives. Inflammatory Arthritis is an umbrella term which covers various types of arthritis, the three main types being: Rheumatoid, Psoriatic and Ankylosing Spondylitis. All of these are treated with similar Medications/Treatments and the majority of patients are under the care of the Islands Rheumatology Department and their extended team of health professionals as well as their G.P. If you are a newly diagnosed Inflammatory Arthritis patient and you are a registered patient with the Isle of Wight Rheumatology Team then please look at the IW Inflammatory Arthritis Education Workshop page for details on the workshop and how to attend. There is also an array of local services relevant to people with Inflammatory Arthritis on the Island, including the Isle of Wight Rheumatoid and Inflammatory Arthritis (N.R.A.S) Group. The group is free to join and information on their meetings and events can all be found on this website. The group members have helped to start off the Hints and Tips page on this website, but we are always looking for more so please contact us with any helpful tips that you have found that makes living with your arthritis easier. We would also like to know of any local services that you have used which have made a difference to you. 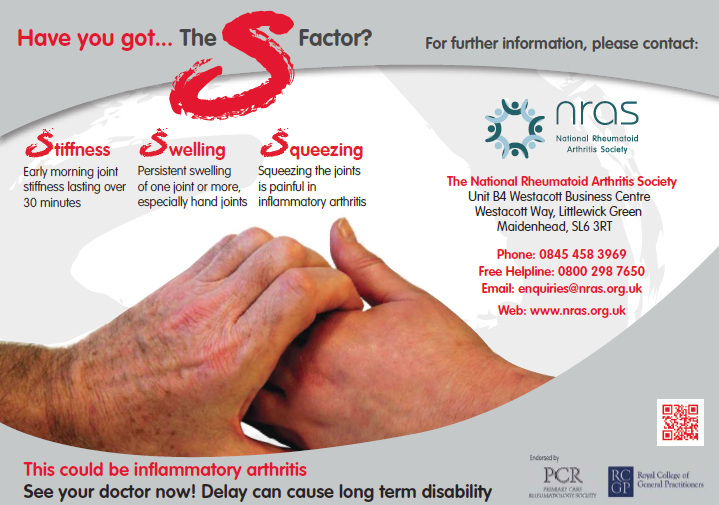 This website also includes information and links to National services and support charities that provide help and support to people with Inflammatory Arthritis. The News page covers information on topical local and national news. Keep an eye on the What, Why, When? page as this will give the answers to some regularly asked questions. This page is gradually being added too and all the answers provided have been checked by the Rheumatology team, so please be patient, new information will be added but this can take a while. This website has been developed by Hayley Bartlett Coordinator of the Isle of Wight Rheumatoid and Inflammatory Arthritis (N.R.A.S) Group. Hayley has lived on the Isle of Wight all of her life and was diagnosed with Psoriatic Arthritis at 26yrs old. All of the information provided on this site has been written in collaboration with the Islands Rheumatology Department and was correct at the time of publication. Personal liability cannot be accepted for any recommendations made herein.